Fluticasone and Salmeterol (Seroflo 250) is a combination of two medicines that treat asthma symptoms and improve breathing. Is also work by preventing wheezing, coughing, shortness of breath, and chest tightness caused by a chronic obstructive pulmonary disease. Know about Seroflo 250, fluticasone salmeterol dose, Side effects, price, Where can I buy fluticasone salmeterol. 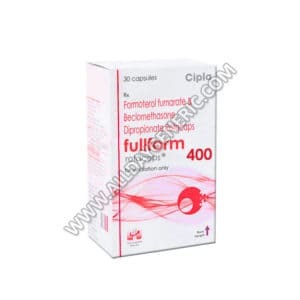 Seroflo Rotacap is a combine of fluticasone propionate and salmeterol. 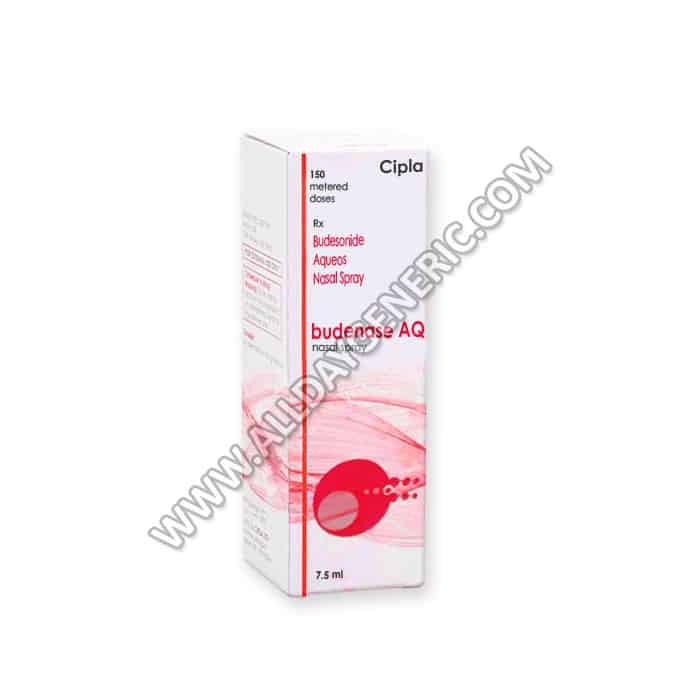 This product is used to control and prevent symptoms like wheezing and shortness of breath caused by asthma or an ongoing lung disease like a chronic obstructive pulmonary disease. Fluticasone propionate is a synthetic, trifluorinated glucocorticoid with potent anti-inflammatory activity. Salmeterol belongs to the class of drugs known as long-acting beta agonists. 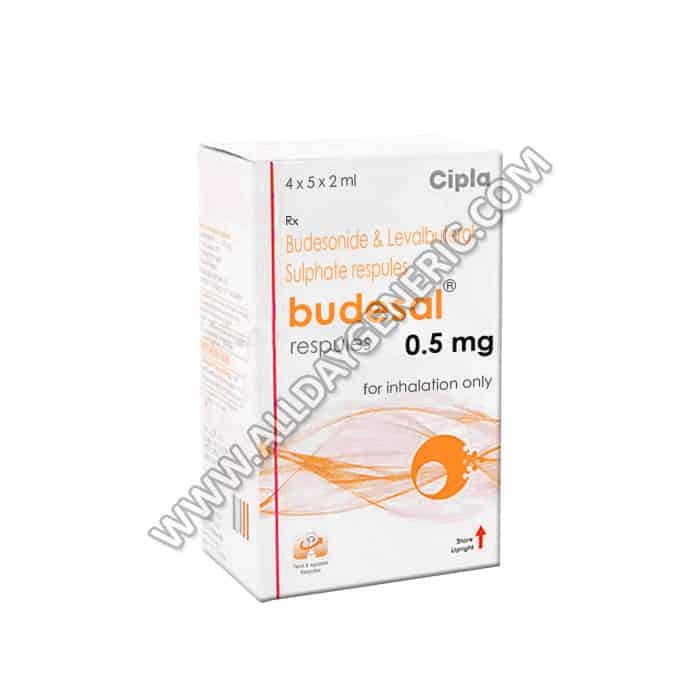 It is a selective long-acting beta-adrenoceptor agonist with duration of work of at least 12 hours. 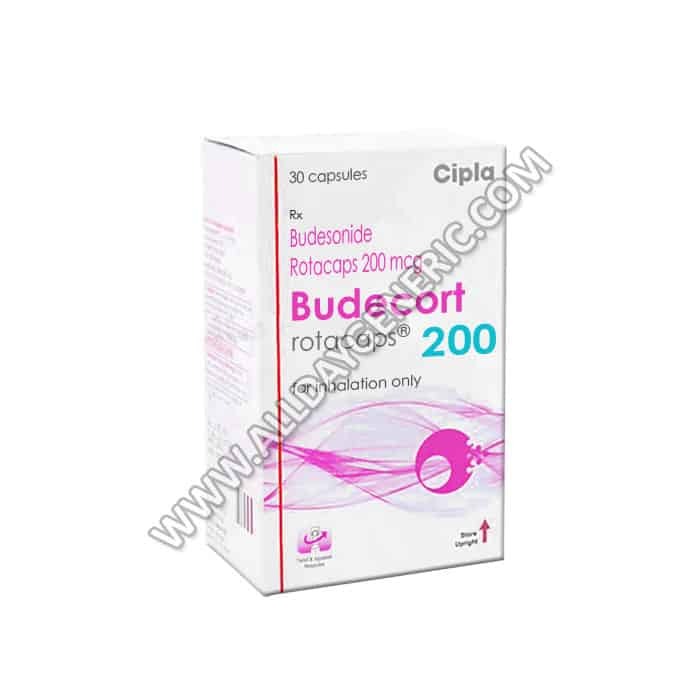 Fluticasone belongs to a class of drugs called inhaled corticosteroids. Salmeterol belongs to a class of medications called long-acting beta-adrenergic agonists. A type of medicines is a group of drugs that work similarly. 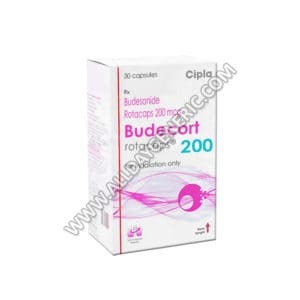 Fluticasone Propionate is a steroid. It works by stopping the release of certain chemical messengers that cause inflammation of the airways. Salmeterol helps the muscles around the airways in your lungs stay relaxed. This prevents symptoms such as wheezing, cough, chest tightness, and shortness of breath. Together Fluticasone and Salmeterol make breathing easier. How to Use Seroflo Rotacaps? Follow your physician direction when taking Seroflo 250 Propionate at all times. 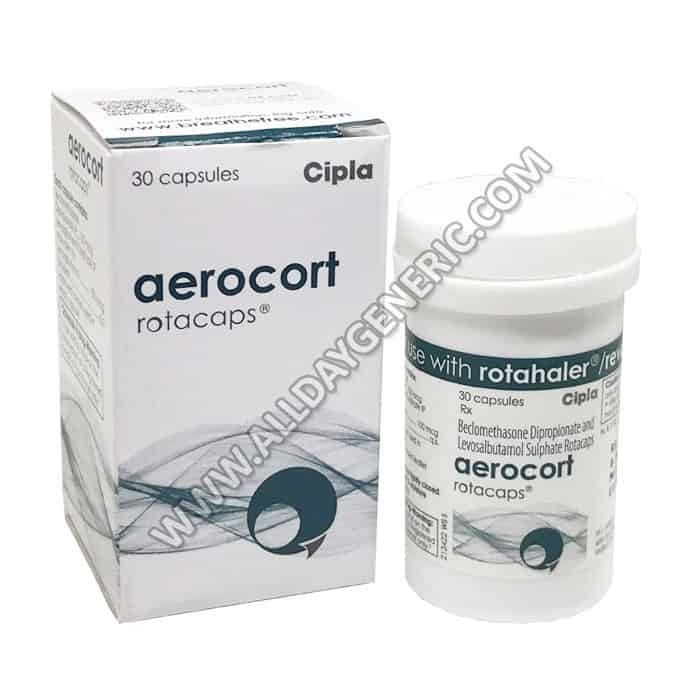 As with any medicine, you should take Cipla Seroflo Rotacaps at a similar time every day, or you would otherwise have peaked with high or low levels of the medication in your body. This way you obtain the special effects of the drug and control a constant level of the active component being absorbed into your body and bloodstream. You experience less potential side effects. If a Seroflo 250 is prescribed to be used double per day in the morning and evening, then try to take the dosage precisely 12 hours apart. If you missed your medicine, then take it as soon as desirable. However, skip the forgotten dosage if it is almost time for your next daily scheduled dose as you should never take twice dosage even if you forgot your medicine (Fluticasone and Salmeterol) for some days. This is not an exhaustive list of side effects. Please tell your physician if you experience any adverse reaction to the Fluticasone and Salmeterol. What Precautions need to take before using Seroflo 250? Seroflo 250 is not suggested for use in breastfeeding women unless needed. All the risks and advantages should be discussed with the physician before taking this medicine. Seroflo 250 may be risky to take during pregnancy. Animal studies have shown adverse effects on the foetus; however, there are limited human studies. The benefits from use in pregnant females may be acceptable despite the risk. Please consult your physician. There is no interaction between renal impairment and consuming this drug. So dose adjustment is not needed. 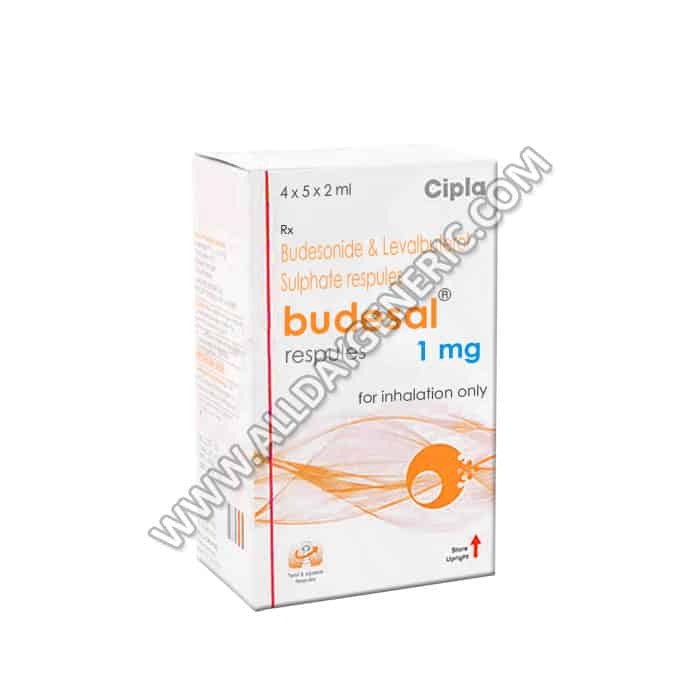 Fluticasone/salmeterol may increase the chance of getting infections. The missed dose should be inhaled as soon as possible. It is advisable to skip the missed dose if it is already time for your second scheduled dose. Do not use extra medicine to take up for the missed dose. Seek emergency medical treatment or contact your physician in case of an overdose. Q. Can I stop taking Seroflo 250 when my symptoms are relieved? No, do not stop taking Seroflo 250. If you stop taking Seroflo, your symptoms may come back and may lead to severe difficulties. Use your medicine as prescribed by your physician. Q. 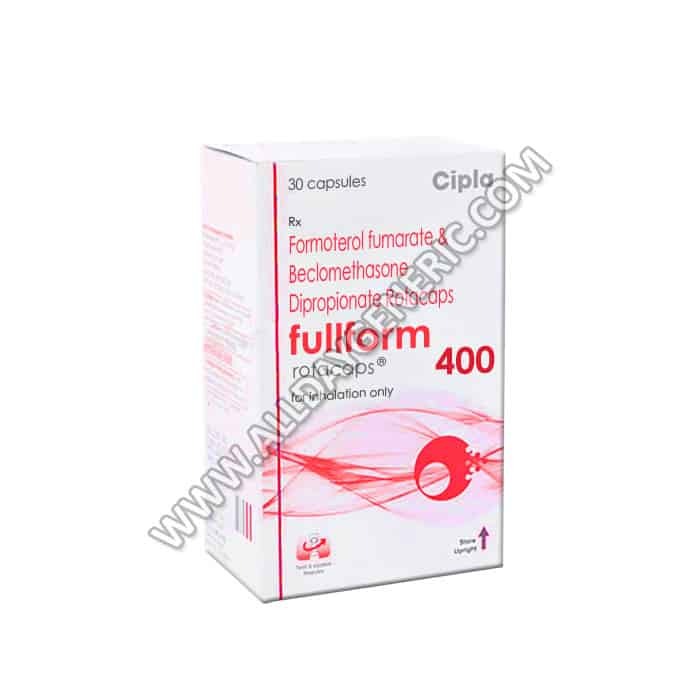 What is Seroflo 250 prescribed for? Seroflo 250 is prescribed to treat Chronic Obstructive Pulmonary Disease (COPD) and Asthma. The signs may include wheezing, shortness of breath, and breathing problems. Q. What type of medication is fluticasone and salmeterol? 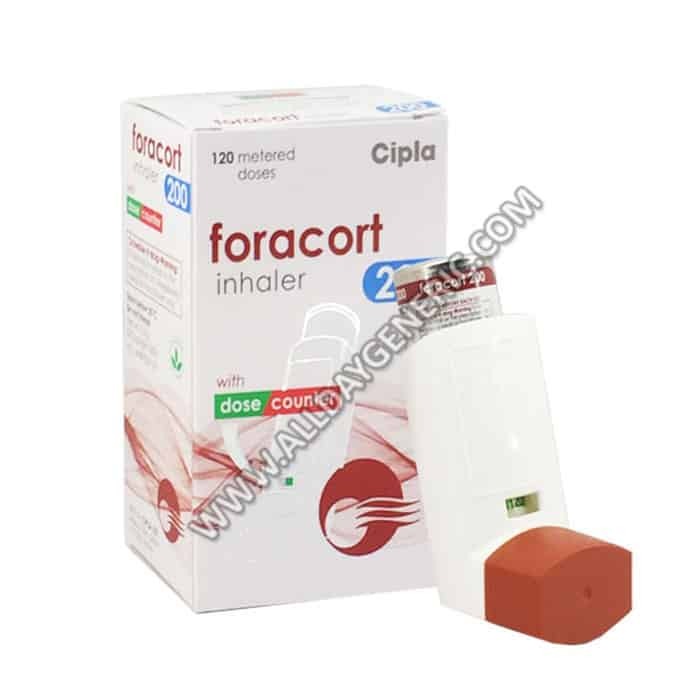 This medicine is used to treat air flow blockage and reduce the worsening of chronic obstructive pulmonary disease (COPD). This involves chronic bronchitis and emphysema. Inhaled fluticasone belongs to the group of drugs known as corticosteroids or steroids. Why buy Seroflo Rotacap 250 from AllDayGeneric? 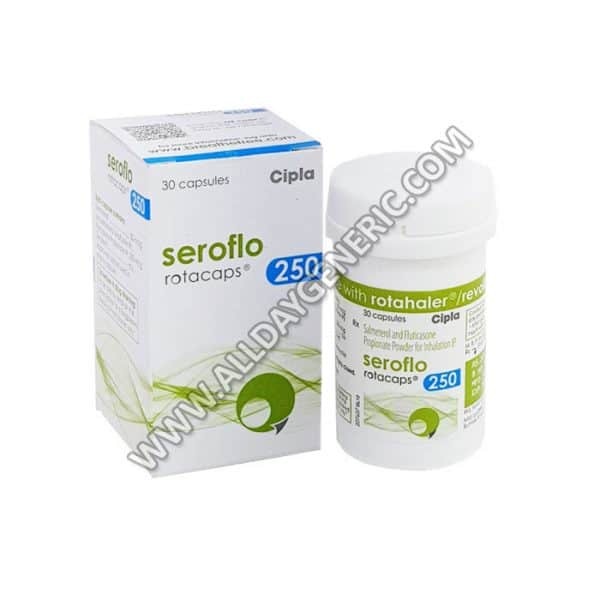 Authenticity: We only sell authentic Seroflo 250 Rotacap, manufactured by Cipla Ltd at a plant in India. A valid licensed Indian pharmacist dispenses all medications sold by AllDayGeneric.